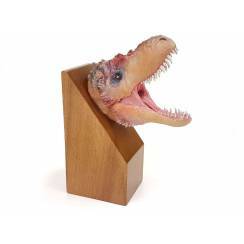 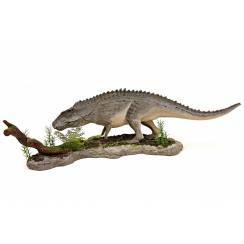 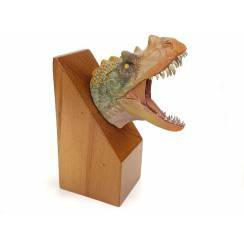 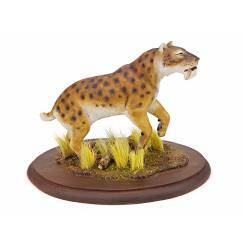 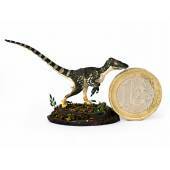 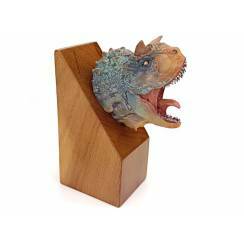 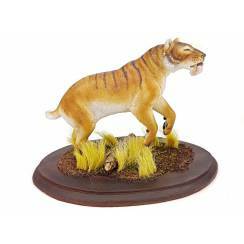 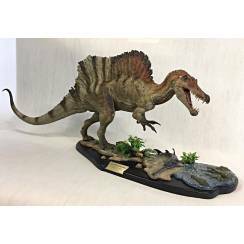 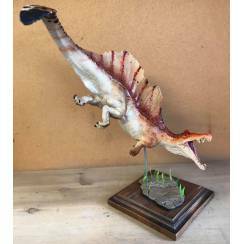 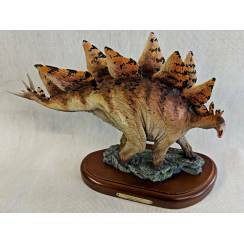 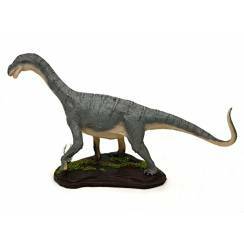 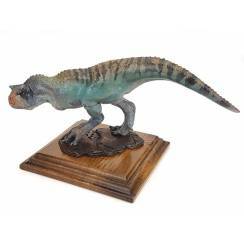 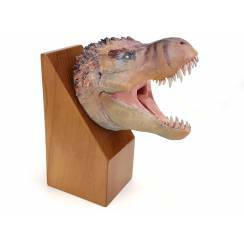 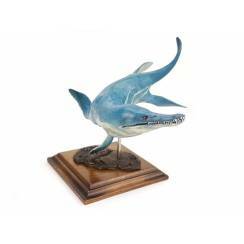 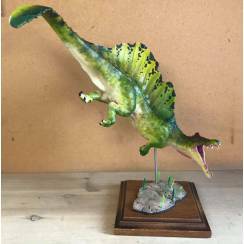 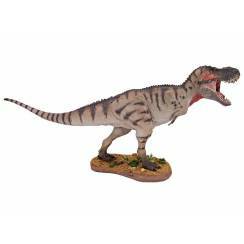 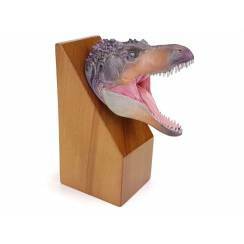 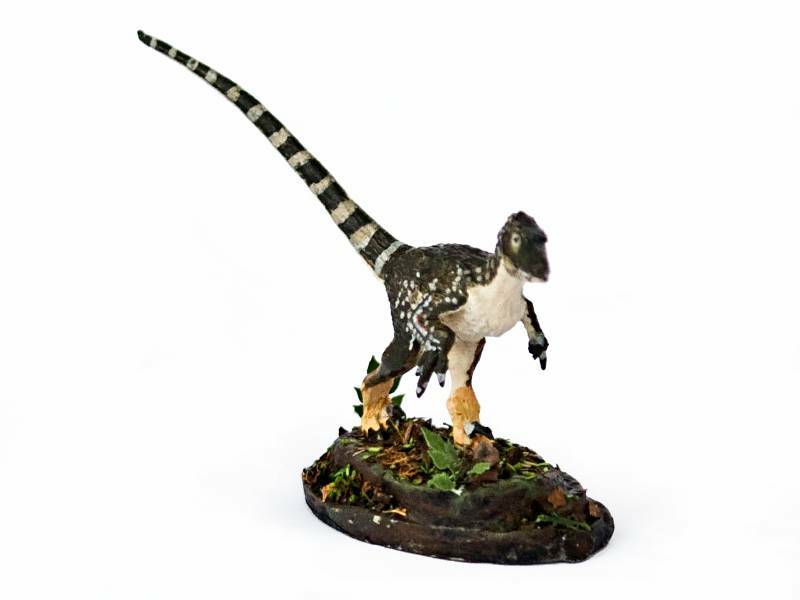 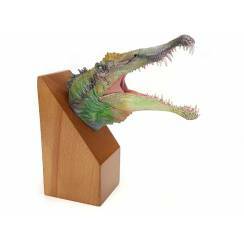 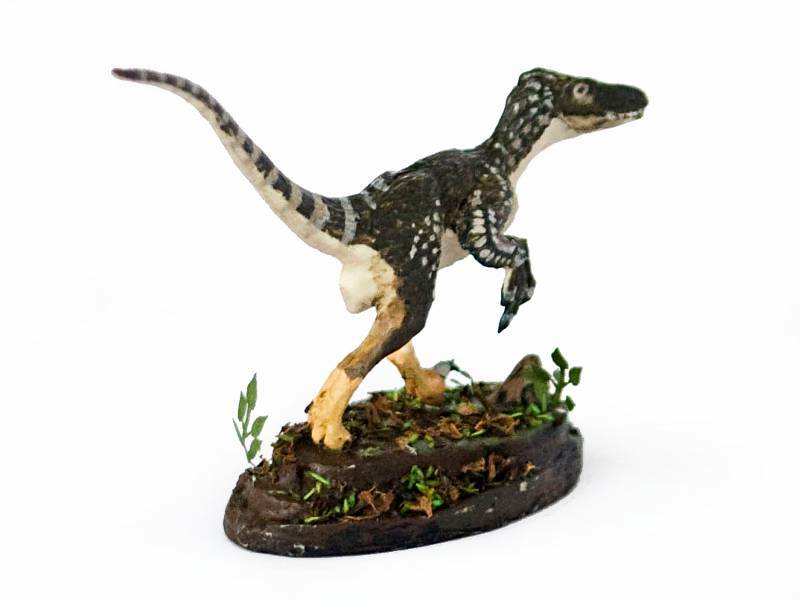 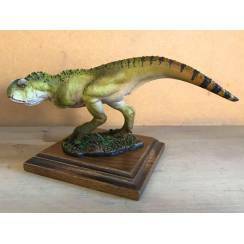 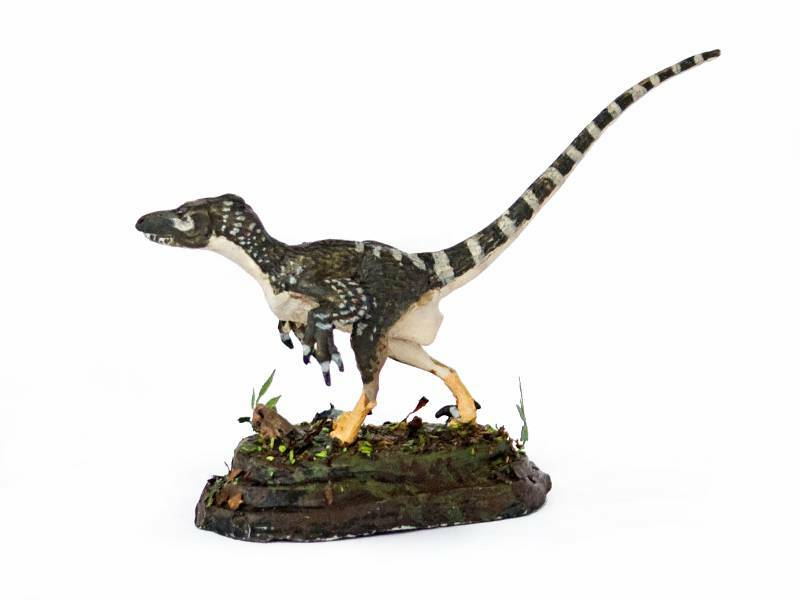 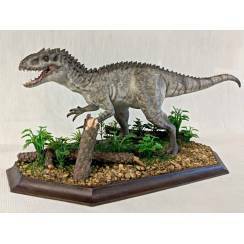 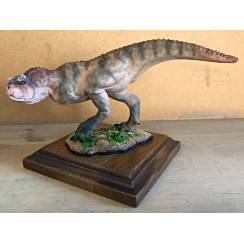 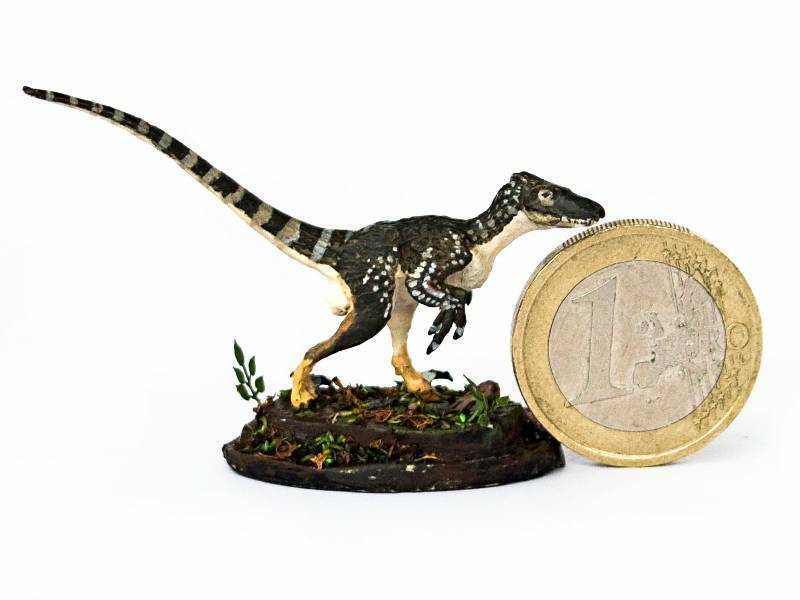 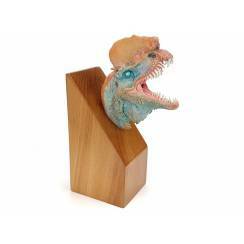 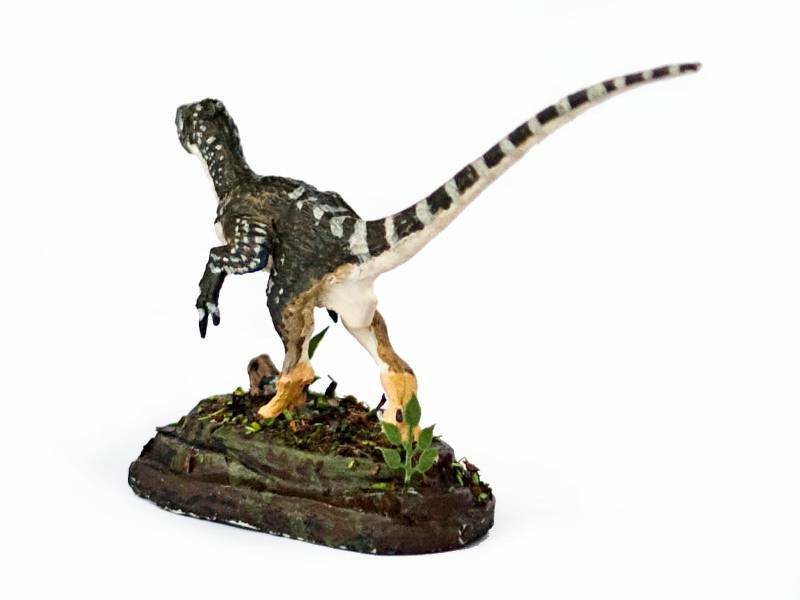 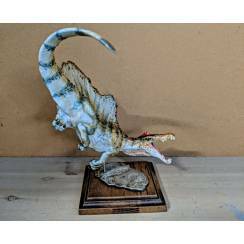 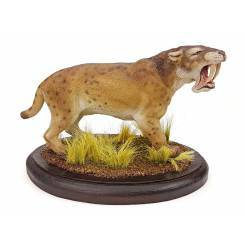 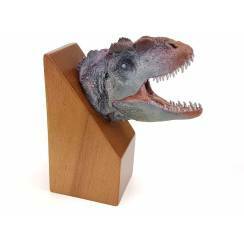 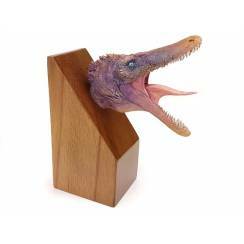 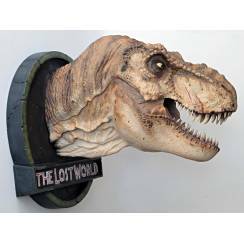 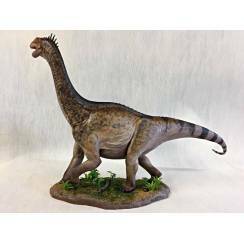 Detailed Dinosaur Miniature Model of the predatory Dinosaur Utahraptor. 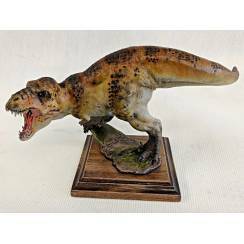 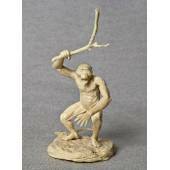 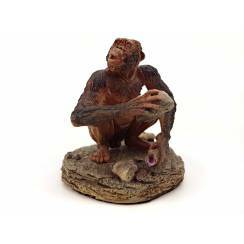 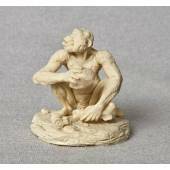 This Miniature Model is masterly painted. 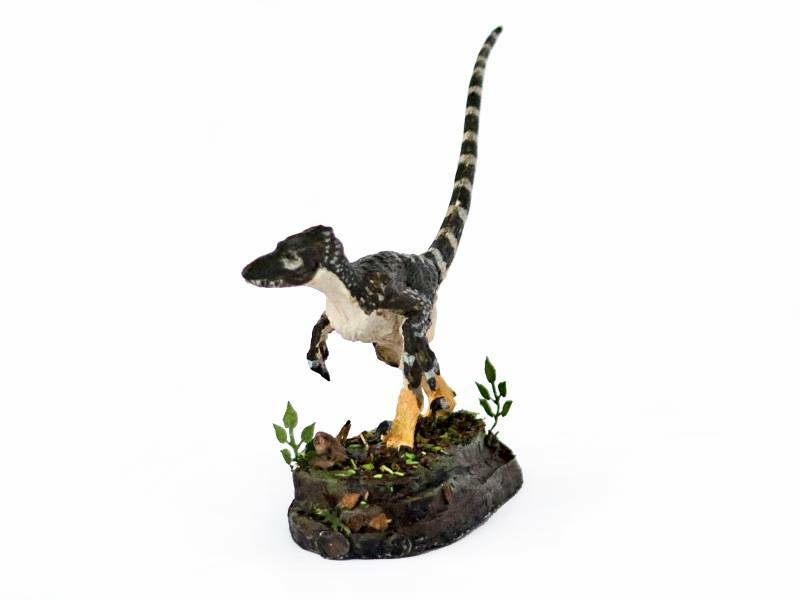 The base is lovingly decorated with tiny Diorama plants.